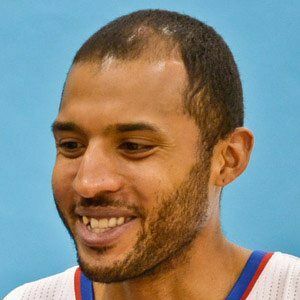 Journeyman post player who made his NBA debut in 2003 for the Los Angeles Lakers; named Big Ten Player of the Year during his senior year at the University of Illinois. He was a McDonald's High School All-American in 1999. He was selected 24th overall in the 2003 NBA Draft by the Lakers. He married his longtime girlfriend, Victoria Velasquez, on July 4, 2009. As a rookie on the Lakers he was the backup center behind Shaquille O'Neal.